Vote Libertarian, Green, Constitution whoever but most of all, vote for someone who shares your views. The Iowa Libertarian Party is set to have its first-ever gubernatorial primary in the state in June of this year after Gary Johnson’s 2016 presidential election totals triggered major party status for the state’s Libertarian Party for at least this year’s election. Johnson received 3.8 percent of the Iowa vote in 2016, well above the 2 percent benchmark that unlocks major party status for the subsequent election. However, in order to maintain major-party status, a Libertarian Party candidate must achieve 2 percent again in a general election in another state-wide race. The Daily Beast has this article about the money Jill Stein raised to pay for recounts in a few states of the November 2016 presidential vote. Professor Charles Wheelan, founder of the Centrist Project, which is now called Unite America, discusses his project here. The interview is carried by Merion West, an on-line news source which carries news about attempts to strengthen the center in the U.S. This edition of Iowa Press is the Iowa Press Debates: Libertarian Gubernatorial Debate. Marco Battaglia (L-Des Moines) and Jake Porter (L-Council Bluffs) discuss their platforms and priorities as they campaign for the Libertarian nomination for governor. Oregon held primaries on May 15 for the Republican, Democratic, and Independent Parties. The Independent Party, and the public, still doesn’t know who won the party’s primary for Governor. Fragmentary election returns indicate that it was either Knute Buehler (who is the Republican nominee) or Patrick Starnes, a member of the Independent Party. Starnes’ name was printed on the primary ballot, but candidates who are members of other parties were forced to be write-in candidates in the Independent Party primary. It is clear that both Starnes and Buehler have more votes in the Independent Party primary than Kate Brown does. Brown is the Democratic nominee for Governor this year. New York state is operating under a court order that says the petitioning period for state and local office, for independent candidates and the nominees of unqualified parties, is the period July 10 through August 21. But, the petitioning period for federal office is June 19-July 31. These rules are completely irrational. Most states don’t care how early a petition begins to start. Because the Libertarian Party is not a qualified party in New York, it must obey these rules. But if the Libertarian Party were to circulate a petition this year that includes both Governor and U.S. Senator, the period would be July 10 through July 31, only three weeks. In theory the party could circulate one petition for U.S. Senate, and a separate petition for Governor, but that would be a great deal of work, so the party is staying out of the U.S. Senate race, and its 2018 statewide petition just has Governor and the other statewide state offices (Lieutenant Governor paired with Governor; Attorney General; Comptroller). Everything in this post relates to any other unqualified party as well, but as far as is known, the Libertarian Party is the only unqualified party that expects to circulate a statewide petition in New York this year. by J.R.Myers, Constitution Party National Executive Committee Western States Regional Chairman, Founder & former Alaska CP Chairman, ACP Candidate for AK Governor in 2014, and 2016 Presidential Candidate. J.R. won Madera, Tulane & Riverside Counties in the 2016 California American Independent Party Presidential Primary Election. Former Executive Committee member and Chairman of the Montana Libertarian Party in the 1980's, and Chairman of the Montana Reform Party 1998-2003. He was also elected to serve as both Republican (Flathead County, MT) and Reform Party (Butte/Silver Bow, MT) Precinct Committeeman. Former Vice Chair of the Alaskan Independence Party. J.R. also served as a member of both the Kenai Peninsula Central Emergency Services and the Haines Borough Fire Service Area boards. Opinions expressed are personal, and do not represent official Constitution Party positions. As one of those directly involved in the 2016 Idaho CP Presidential Primary and General elections, the 2016 CP Presidential Nominating Convention, and now serving as CP Western Regional States Chairman, I have a unique perspective on the issues involved. My experiences bolster my vested interest in promoting reconciliation between the National CP and the CP Idaho. I believe a restoration of healthy relations between the CP Idaho and the National CP is not only possible, but necessary for us to move forward with unity and momentum heading towards the 2020 elections. To this end, I have brought the pending disaffiliation discussion and the following 15 conditions to the attention of the CP National Executive Committee. I believe it is important to give these conditions our full consideration. I further believe it is incumbent upon the CP National Executive Committee to issue an unambiguous and conciliatory response seeking to maintain the CP Idaho within the CP state affiliate ranks. Additionally, the Constitution Party Live online video interview program with Randy Stufflebeam and Gary Welch, will soon host representatives from the CP Idaho to discuss their concerns. It is hoped that by shining light on the issues involved, true resolution can be accomplished. It is also hoped that a CP Live reporter will attend the CP Idaho 2018 State Convention in Mountain Home, Idaho at the beginning of August to cover the momentous events. I have been invited, and plan on attending the CP Idaho 2018 Convention to represent the CP National Executive Committee and to monitor the proceedings. The following 15 Conditions were the result of a personal meeting which took place in Grangeville, ID on Saturday, May 12, 2018 between CP-Idaho’s Chair, F.W. Whitley and myself as CP Western States Regional Chairman. "First, no more surprise presidential candidates who wait until the last minute to declare their candidacy on the floor of the national convention, and thereby avoid public scrutiny. This manipulative practice shall be condemned and banned." I can agree to this. It is my opinion, that Presidential candidates should announce and file as soon as possible. They should participate in debates, interviews, primaries, caucuses and conventions. They should actively build the party while promoting their campaigns. "Second, to ensure legitimate due process in the national nomination, henceforth, each and every presidential candidate who seeks the nomination of the Constitution Party shall first declare his or her candidacy with the Federal Elections Commission (FEC) and report on FEC Form 1 and Form 2." This is in line with the first condition, to which I also agree. "Third, every CP presidential candidate must declare their candidacy prior to the close-of-business (EST) on the second Monday of the December (odd year) which immediately precedes the November General Election (even year), and in every Presidential election thereafter. [e.g. December 9, 2019; December 11, 2023; and so on.]" I believe that this is due to the State of Idaho candidate filing deadlines. Therefore, I would agree that it is important for all Presidential candidates to participate in all affiliate state primary campaigns, nominating caucuses or nominating conventions. This is part of building campaign momentum, generating media coverage, exciting the base and vetting our candidates. "Fourth, the date of the national convention must be returned to late mid-summer in a presidential election year to respect the statutory requirements and obligations of actual ballot qualified state parties. http://www.cpidaho.org/archives/theses-of-reform-of-the-constitution-party-3/"
Fifth, the national convention shall not be held prior to any state convention of any affiliated state party, with an exception being whenever a late national convention may convene after statutory candidate certification deadlines in any respective state affiliate party. Sixth, under no circumstance shall the national convention be held prior to the state primary or state caucus of any Constitution Party ballot qualified affiliate state party. In 2020, national convention cannot occur earlier than June 2, 2020 to accommodate ballot qualified CP-South Dakota and CP-New Jersey. Seventh, the date of national convention must incorporate the electoral duties and obligations of state ballot qualified affiliates." I agree to conditons 4-7, which are closely related, due to the above stated reasons. The National CP needs to acknowledge, respect, encourage and support the candidate nominating processes of the various CP state affiliates. It is the CP National Committee (of which CP Idaho is a part) that establishes the date and location of the National Convention. "Eighth, any state delegation standing on the floor of the national convention and seeking to cast national nomination ballots must first provide strict and verifiable proof that its state party held an actual statewide ballot—whether by primary ballot or by caucus ballot—via a democratic process which is in fact demanded by the national convention credentials committee. Tenth, any state delegation standing on the floor of the national convention and seeking to cast national nomination ballots must cause its verifiable primary or caucus results to be published in not less than one paper of record within its state boundaries and not later than fifteen business days prior to national convention." Conditions 8-10 shouldn't be an issue if the various state affiliates are able to demonstrate due diligence to their individual state legal processes. There should be a clear trail of documentation to account for the legitimate process each affiliate must adhere to in the selection of its National Committee Members, and in the assignment of its NCM apportionment. The National Convention Credentials Committee must certify that proper legal processes are followed in each affiliate to assure that their National Committee Members are legitimate representatives of viable state affiliate organizations. All applicable CP bylaws and affiliate state laws, codes and regulations must be properly followed with verifiable proof by each affiliate seeking NCM credentialing. "Eleventh, ethical standards are absolutely paramount; therefore, under no circumstances shall any officer, employee, communications director or any other official within the national Constitution Party make use of their office, or even to cause the appearance of having used their office, on behalf of or in favoritism to any national CP presidential candidate while the nomination remains contested prior to the national convention’s actual nomination. 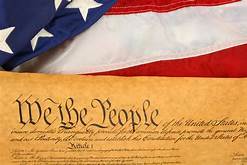 Twelfth, any officer, employee, communications director or any other official within the national Constitution Party who does use their office, or appears to have used their office, in favoritism of any national CP presidential candidate prior to the national convention’s actual nomination shall be censured and removed forthwith from office upon its discovery." Conditions 11 & 12 are closely related. Eleven could possibly be enshrined via an Executive Committee Resolution. Twelve could better state that those actions could be, "grounds for censure or removal." Subject, of course, to existing due process outlined in the CP Bylaws. "Thirteenth, every national CP candidate must stand in the currently existing state presidential primaries—CP-Idaho and CP-Missouri—without exception or excuse. And stand in any subsequent CP state primary should other primaries be formed. Fourteenth, every national CP candidate must physically participate in open public competitive debate during the standard primary and caucus season prior to the national convention nomination; and every national CP candidate must do so side-by-side on the same stage at the same time with fellow national CP presidential candidates in answer to the People." I also agree with Conditions 13 & 14, at least in sentiment. However, each campaign is an entity unto itself, and not subject to party actions, per se. It is the candidates and their teams that must develop and implement their individual campaign strategies. These decision may be contingent upon logistics, finances, staffing, scheduling conflicts, support and/or travel restrictions. Therefore, while I agree in principle, this is only ultimately enforceable by the CP members, voters and delegates. They must weigh the activities of each campaign as they deliberate their selection of the eventual CP Presidential nominee. "Fifteenth, the national website shall not be used as an in-kind donation for any single candidate (declared or undeclared) unless every single candidate is afforded the same promotion." I also agree with Condition 15. The National CP must be diligent to maintain neutrality with every campaign, until the nomination process is concluded. I call upon the CP National Chairman to place this matter on the next CP ExCom meeting agenda for discussion and resolution by the National Executive Committee. This must occur as soon as possible, prior to the CP Idaho 2018 State Convention in Mountain Home, ID in August. It is my intent to work with others to compose just such a Resolution of Reconciliation. Remember, United We Stand! Reform Party Chairman and Guardian Angels founder Curtis Sliwa said he was unable to track down former U.S. Attorney Preet Bharara to secure his signature as the third party's nominee for attorney general by the May 23 deadline. Before the fall of the USSR and the Berlin Wall, you had over 40 nations in the Warsaw Pact, and Communist regimes were brutal persecutors of Christians. The late Rev. Richard Wurmbrand was “Tortured for Christ,” in Romania, and when he escaped to America, he had to contradict the neo-evangelical Billy Graham, who said there was no persecution in Communist controlled nations. While there may not be a bloc of over 40 nations who are openly Communist, today, China, North Korea, Vietnam, Laos, and Cuba are still avowed Communist states. Eritrea and Belarus while not officially Communist, still have dictatorial regimes in place. Communism is still popular in “Latin America” with its “Liberation Theology” and there are socialist regimes in Brazil and Venezuela. Persecution may have been toned down, but what has mostly changed is our views. Americans think that “free trade” brings freedom. In others words, most people buy into “economic evangelism” and it serves as an excuse to stop speaking up for their fellow Christians. 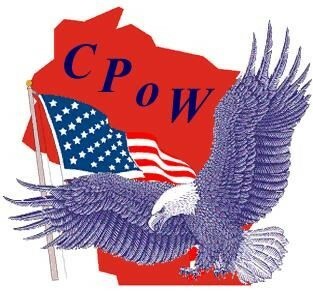 The Milwaukee County Constitution Party is concerned with these things because the City of Milwaukee is full of Communists and Socialists of all stripes. If you are tired of being tormented by criminals and their liberal allies, join the Milwaukee County Constitution Party. (Via The Journal Times) - In announcing his candidacy for the 64th District Assembly seat, Thomas Harland said he is running “to provide a conservative option” for district voters. Harland, 29, will be challenging incumbent Democrat Peter Barca, 62, who has held the seat since 2008. Barca was first elected to the Assembly from 1984–92, resigning in June 1993 upon his election to represent the 1st Congressional District. The 64th District covers the city of Kenosha, as well as a small portion of southeastern Racine County. North Carolina has registration by party, but the state never tallies the number of voters registered into unqualified parties. Because the Green Party became a qualified party earlier this year, the state is now reporting Green registration data. The State Board of Elections provides a new tally every week. Green Party registration was below 100 during April and mid-May, but the May 26 tally is 171. See the entire tally here. Thanks to Michael for this news. California permits write-ins in the June primary for all office. Every election year, there are a few legislative races in which only one person filed to be on the primary ballot. So then anyone who files as a write-in is guaranteed to place second, assuming the write-in candidate is the only declared write-in candidate. For the 2018 primary, there are three Assembly districts in which Libertarians filed as write-ins, and there is only one candidate on the primary ballot, so the three Libertarians will place second and be on the November ballot. They are Justin Quigley in the 21st district (running against incumbent Adam Gray); Christopher Stare in the 51st district (running against incumbent Wendy Carrillo); and Autumn Browne in the 69th district (running against incumbent Tom Daly). Here is the entire list of declared write-in candidates for all federal and state office in the 2018 primary. A state trial court in Montana is holding a trial in the lawsuit in which the Democratic Party argues that the Green Party petition this year doesn’t have enough valid signatures. Typically the judge only hears the case one day per week. Another round occurred on Thursday, May 24. Here is a short news story about the May 24 hearing. On May 23, U.S. District Magistrate Judge Mary Pat Thynge, a Bush Sr. appointee, again ruled that Delaware cannot require all State Supreme and Superior Court Judges to be members of the two largest political parties. Adams v Carney, 1:17cv-181. Here is the 18-page opinion. The Delaware Constitution says “Three of the five Justices of the Supreme Court in office at the same time, shall be of one major political party, and two of said Justices shall be of the other major political party.” The plaintiff is an independent. The state had asked for reconsideration of the original decision, which had been issued on December 6, 2017. The state argued that the plaintiff lacked standing, but failed to persuade the magistrate judge to change her opinion on that. The Freedom Socialist Party has a candidate for U.S. Senator in the August 2018 Washington state top-two primary. Washington state lets all candidates in partisan races choose any partisan label that is 16 characters or fewer and is not obscene. “Freedom Socialist” is 16 characters. Originally the Secretary of State said that a space is considered a character, and therefore the candidate could only have “Prefers FreedomSocialist Party” on the ballot. But on May 23, the Secretary of State changed his mind and will allow “Prefers Freedom Socialist Party.” Thanks to Doug Barnes for this news. (via Libertarian Party website) - Pictured here is a copy of the original Statement of Principles as typewritten by John Hospers at the 1972 convention. The existence of this original document was unknown until it turned up on an ebay listing, was purchased by a Libertarian Party member, and then donated to the Party. The seller said that her parents were early activists in the California LP and as she was disposing of their estate she found this document hidden behind a framed, photocopy picture of Ayn Rand, where it has likely been for decades. This special document has since been framed and will be on display at the 2018 Libertarian National Convention; after that, it will be sent to LP Headquarters, for its permanent display and safekeeping. (via Green Party Website) - For Hawkins, a retired Teamster from Syracuse, it will be his third consecutive run for Governor. Hawkins finished third with 5% of the vote in 2014. Hawkins has been an organizer in progressive movements since the late 1960s and was co-founder of the Green Party in the U.S.
Lee is a public school teacher and parent in New York City. She is a leader in the Opt Out movement against high-stakes testing. A UFT chapter leader, she is active in the Movement of Rank and File Educators, which ran her for UFT president in 2016 where she came in second with nearly 11,000 votes. Rich businessman Rocky de la Fuente is running for senate seats in 4 states. California, Florida, Washington and now, Wyoming. In 2016 "Rocky" was the Reform Party and American Delta Party's presidential nominee. He received 33,136 votes or 0.02% of the vote in the general election, good enough for 8th overall and the best showing by a Reform party candidate since Ralph Nader's run in 2004. Unfortunately, for now at least, Rocky this go around is not running on a 3rd party ticket but is seeking the Republican nomination in all 4 states. I wonder if this is some kind of record? Politics1 just tweeted this out, "NEW YORK: The Reform Party has endorsed ex-US Atty Preet Bharara for Attorney General, giving him a primary ballot spot if he opts to jump into the open seat race." The party also endorsed Chris Garvey, Nancy Regula, and Michael Diederich to run for attorney general so there will be a primary for the AG nod. Since the beginning of the Trump Presidency, Californians have been tossing around the idea of independence. 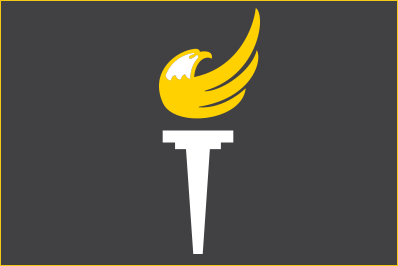 The group leading the way is called the California National Party and they advocate for the complete independence of California from the United States. Yesterday I got to ask the CNP Chairperson Theo Slater several questions about the party, the plan and the future of California. Q: How do you legally secede from the United States? A: Under Texas v. White, which only prohibits unilateral independence, one would need the consent of Congress and the President or for Congress to override the Presidents veto. We believe a normal law could do it. California was created with a law and could be set free with a law. So we would want to do an initiative on it that then sets up a framework for negotiation with Congress. However, we suspect the more likely path is that the US continues to crumble beneath its contradictions and the 1% loot it to death. Under that scenario, California will simply stand up amidst the ruins of the US. What will destroy the US? Its government is essentially 100% controlled by the huge corporations that own both major parties. 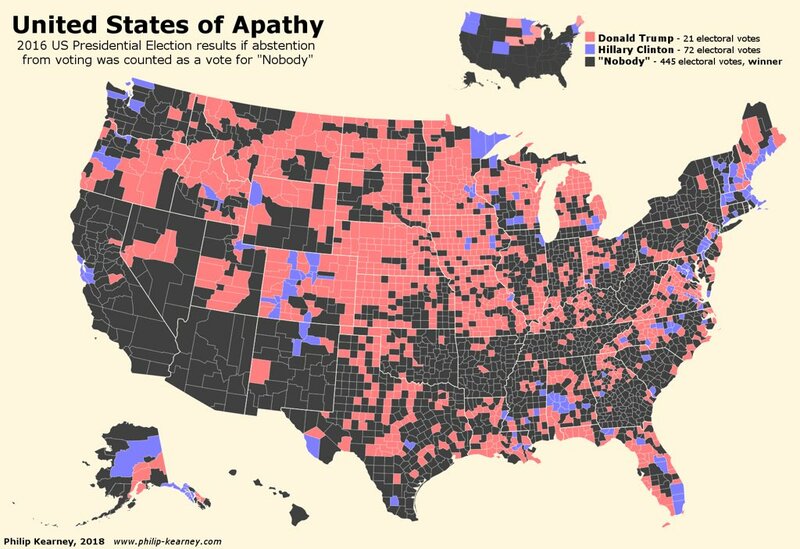 They embark on endless wars for profit as partisanship between the Red and Blue states deepens over time. If the US was ever really one nation, it certainly isn't now, and will never be again. Q: What is the Swiss model and what makes it right for the 'bear flag republic'? A: It involves great local control. We believe communities are in the best position to know their own needs and how to solve their own problems. Q: Would you expect military conflict with Washington DC over independence? A: No. We will only pursue independence via peaceful and democratic means. Q: What do the latest polls asking about Californian independence say? A: The polls right after Trump were about 33% in favor of California Independence. We see that as pretty accurate. Q: Are you running candidates for 2018 or 2020? Q: What is your strategy for cultivating Californian nationalism? A: That's a pretty broad question. We'll try and build a political party around love of California and its values which we see as love, inclusiveness, economic dynamism, and inventing the future. Q: Top 3 reason why California would make a great country of its own and why? A: 1) 5th largest economy in the world (our economy is larger than that of the UK), 2) Diverse population that provides us with our ability to invent the future (Silicone Valley etc.) 3) Cultural powerhouse (Hollywood etc.) 4) Bread Basket of the world (Central Valley). Q: There is a historical precedent for an independent California isn't there? Q: Does California continue the war on drugs and how does California deal with the Mexican Cartel wars on its southern border? A: No. The war on drugs just makes drugs impossible to regulate and control and leads to organized crime. We would pursue a course more like Portugal. Q: Do you have working relationships with other secessionist parties/movements in the united states? If so, in what way? A: We prefer to call our movement an independence movement. Independence has a proud tradition in America, secession less so. Our closest friends are the New England Independence Movement. We refuse to communicate with any party, movement, or faction that is racist, which cuts us off from the Southern groups. We think working with other civic nationalist groups (aka not racist) is good and mutually beneficial. Q: What's ahead for the California National Party? A: We have a convention on June 23rd in Sacramento. 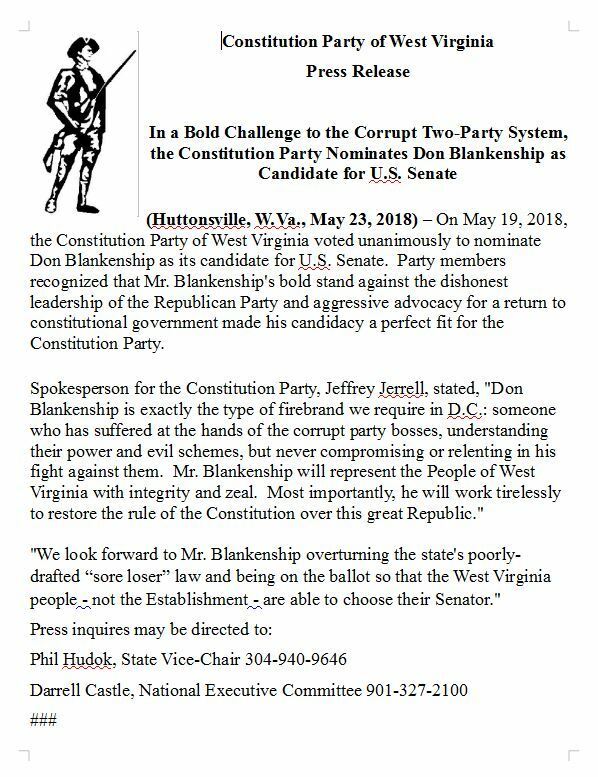 This article says Don Blankenship has announced that he has obtained the U.S. Senate nomination of the Constitution Party of West Virginia. The Constitution Party is not ballot-qualified in West Virginia, but the petition requirement for U.S. Senate for the nominees of unqualified parties is 4,537, due August 1, not terribly difficult. The number is 1% of the number of votes cast for U.S. Senate in West Virginia in 2014 (there was no U.S. Senate election in West Virginia in 2016). It is somewhat unclear whether he can be kept off the ballot because he had run earlier this year in the Republican primary. The ballot-qualified Reform Party of New York held its state convention on Sunday, May 20. For statewide office in New York, candidates who show some support at the state convention are automatically placed on the party’s primary ballot, with no need for a primary petition. The Reform Party delegates gave enough support to each of four candidates for Attorney General that there will be a 4-way Reform Party primary for that office, if none of the four candidates withdraw. The Reform Party is exercising its right to invite independent voters to vote in the party’s primaries, so the 2018 Reform Party primary will be the first in New York state history to include any independents who wish to vote in that primary. The Independence Party, which is also ballot-qualified, also lets independents vote in its primaries, but it hasn’t had any statewide office primaries since it adopted that policy. 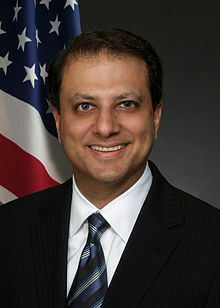 The Reform Party primary candidates for Attorney General include Preet Bharara, who has not said that he wants to run for Attorney General. He is well-known because President Trump fired him last year from his position as U.S. Attorney for New York. If he doesn’t wish to run, he will withdraw. The other Attorney General candidates are Nancy Regula (a member of the Reform Party), Democratic candidate Michael Diederich, and Libertarian Chris Garvey. For Governor, the Reform Party convention backed Marc Molinaro, who will probably be the Republican and Conservative nominee also. For Comptroller the Reform Party backs incumbent Democrat Thomas DiNapoli. The Reform Party only has 360 registered voters, but election officials will be forced to print a very large number of Reform primary ballots because no one can predict how many independent voters will want to choose a Reform Party primary. The primary for state office is September 13. On May 19, the New York Working Families Party of New York endorsed Cynthia Nixon for Governor, which makes it more likely that she will be the party’s nominee in November. See this story. Steve Hoffman has filed to be on the August 2018 Washington state top-two primary ballot as a candidate for U.S. Senate. Washington state law says any candidate can choose any partisan label as long as it is not obscene and is not longer than 16 characters. However, a space counts as a character. Therefore, the ballot will put “prefers FreedomSocialist Party” on the ballot instead of “Prefers Freedom Socialist Party”. No other state controls the number of characters in a partisan label. Other states instead control the number of words. Typically three words are permitted, but sometimes five. The Freedom Socialist Party and Hoffman are considering suing to improve the label from “FreedomSocialist” to “Freedom Socialist”. Filing for the Washington state primary closes on Friday, May 18. So far four candidates have filed for that seat. One of them is Dave Saulibio, whose ballot label will be “Trump Populist Party”. See this story. Washington lets any candidate choose any partisan ballot label that is no more than 15 characters and is not obscene.